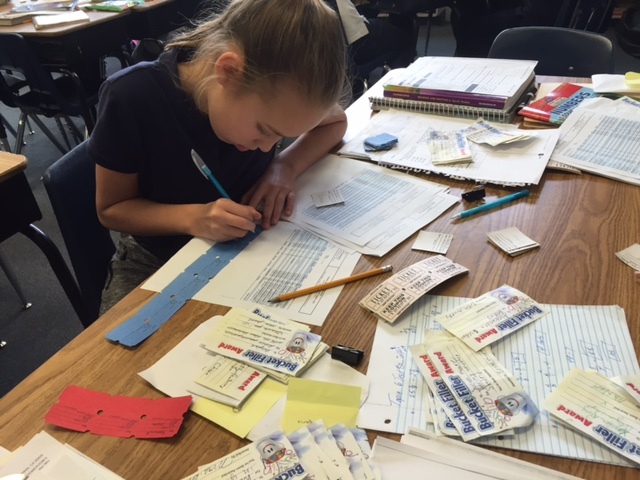 As a part of Mark Twain Elementary's character education program, students are awarded 'Bucket Filler' coupons. People are either bucket fillers or bucket dippers - at Mark Twain, we strive to all be bucket fillers. 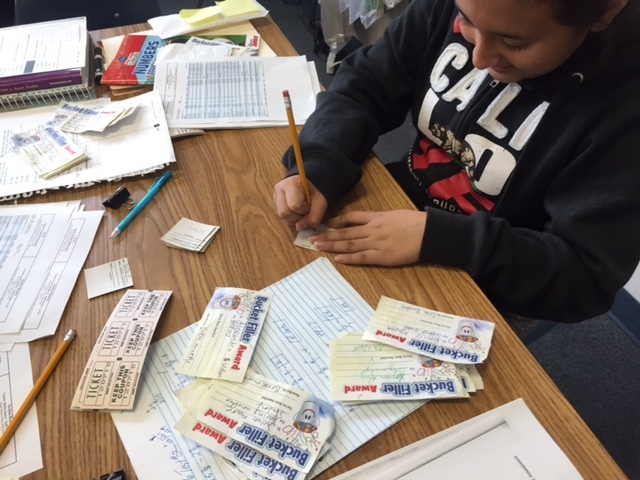 Student display of bucket filler coupons. Students are recognized in the monthly character education assemblies.